Thrive Bible Study Leader Kit includes a Bible Study Book and DVD with six short teaching videos, promotional videos, and promotional tools such as PowerPoint® slides, web banners, and leader articles. Kit also includes leaders guide with commentary. &bull; Help leaders prepare for the group meeting and feel confident in their understanding of the material. 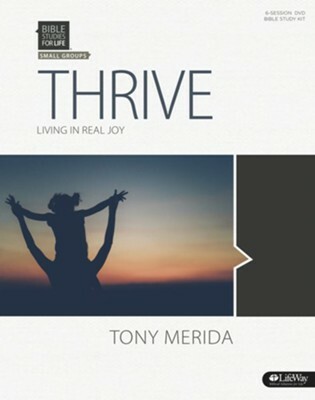 I'm the author/artist and I want to review Bible Studies for Life: Thrive DVD Leader Kit.